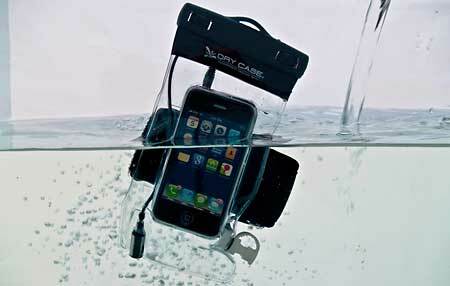 If you need to keep your phone safe around water you might give the DryCase a try. It’ll give you full use of your phone, all the while keeping it completely safe. Of course you’ll have limited use if you happen to own a flip phone of some kind, but at least you could still use Bluetooth if you so chose. Plus for those of you that have a camera on your phone, it’ll let you still take pictures thanks to the clear case. These cases aren’t just waterproof, they all are left underwater overnight to make sure the seal is in great order before they’re sent off to the purchaser. The case has a buoyant armband that will keep the case from just dropping to the bottom of the ocean. It also has a stereo and microphone jack. You can purchase the vacuum sealed case for $39.99. minor nit, but as an athlete and enthusiast involved in water sports, “case” is typically reserved for rigid cases, and this would more appropriately be called a “bag,” which is flexible.